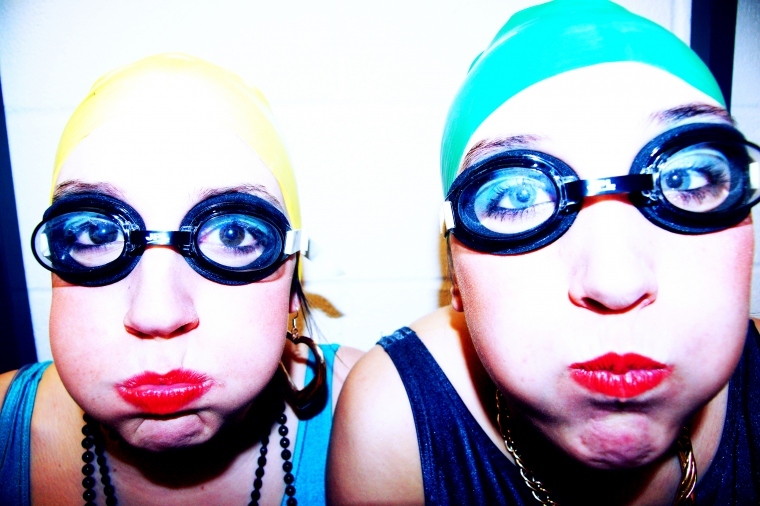 The Gogglettes are a cabaret act starring Georgina and Cassidy of the Hemel Hempstead’s Under 16’s Synchronised Swimming Squad and are best described as ridiculous. Performing the highlights from their swimming instructor’s funeral, their speciality moves are drinking lambrini and holding their breath for a really long time. The Gogglettes have won such prestigious awards as ‘Best effort for being Hemel Hempstead’s only under 16’s synchronised swimming squad’ and they came 10th in West Hertfordshire’s Under 16’s Synchronised Swimming Squad competition when they competed against 8 other award winning Under 16’s Synchronised Swimming Squads in West Hertfordshire in 2013.